This is the supplementary sampler disc for the issue No. 80 of the PROG magazine. Editor Jerry Ewing describes the set as "a delighfully mixed bag", "a reflection of the variety and scope of modern day progressive music". Well, in the end it could have been more varied, really. Ten tracks by ten bands, of which only Galahad and Aisles are familiar to me in advance (some of the rest I know just by name). As readers of PROG magazine know, the contents of these sampler discs are better represented on the mag itself, but I received this disc separately. First comes 'The Path of Least resistance' (11:54) by British Neo Prog group IT. Powerful, slightly dystopic feel especially for the partly distorted vocals which I don't like that much. LUNATIC SOUL is a solo studio project from Polish RIVERSIDE's bassist- vocalist Mariusz Duda. A bit monotonic song but with good sounds. Crossover-proggers KOYO and their eponymous album (2017) hasn't been reviewed here yet, but not-so-progressive rock piece 'Now I Understand' doesn't get me interested either. GALAHAD's song 'Weightless' represents the gentler side of this set. Soft, orchestral sound is nice. JOUIS is the first one not to be found on ProgArchives. Mostly rather peaceful and perhaps over-extended 'Universe Goggles' (10:09) has a slightly Canterbury- like (or FRUUPP-ish) restrained groove, and retro sounds. The lengthy track of CIRCUS (not on PA) starts harmonically with vocals up front, but gets Crimsonesquely angular in the instrumental latter half. Well done, but not much of originality. AISLES are Neo Proggers from Chile. 'CH-7' (12:39; the longest) comes from the album Hawaii. This softly meandering track is not very far from the more recent Marillion, but is for the most part slightly boring. 'Blood Red Moon' by 4:44 (not on PA) relies more on cool sounds than songwriting, but the average vocals bring it down a bit. THE LONGING (not on PA) at least has a pretty good female vocalist, but it seems like the band is unsure whether to be melodic Metal or just Crossover Prog. SERPENTYNE is categorized here as Prog Folk; to me 'Viking Blood' is a somewhat phoney mix of Metal cliches and atavistic themes. 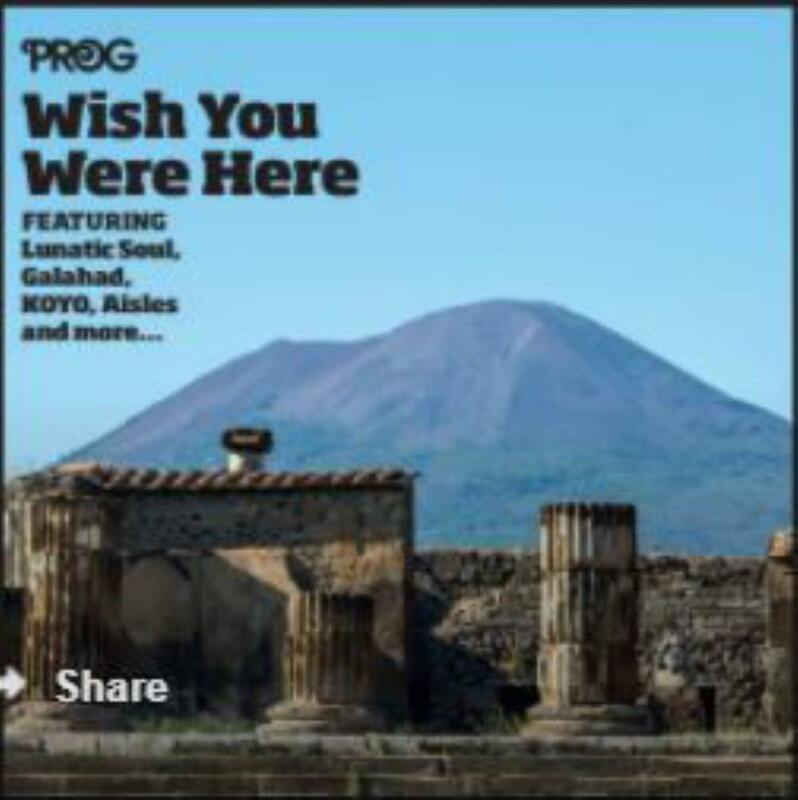 Compered to "Giants Under the Sun" that I reviewed a while ago, "Wish You Were Here" is a bit more Neo/Crossover -oriented compilation. No great band discoveries this time, so two stars it will be again.